Metallica have released official live footage of the debut performance of the “Hardwired…To Self Destruct” track, “Confusion”, from a January 18 show at LeSports Center in Beijing, China. The tune was one three tracks from the band’s latest album to make their first appearances in the setlist during the group’s recent series of shows across Asia, alongside the debuts of “Now That We’re Dead” and “Halo On Fire” at the Gocheok Sky Dome in Seoul, South Korea on January 11. Metallica will next perform at the Grammy Awards in sync with their nomination for the project’s lead single, “Hardwired”, in the Best Rock Song category alongside tunes by David Bowie (“Blackstar”), Radiohead (“Burn The Witch”), Twenty-One Pilots (“Heathens”) and Highly Suspect (“My Name Is Human”). 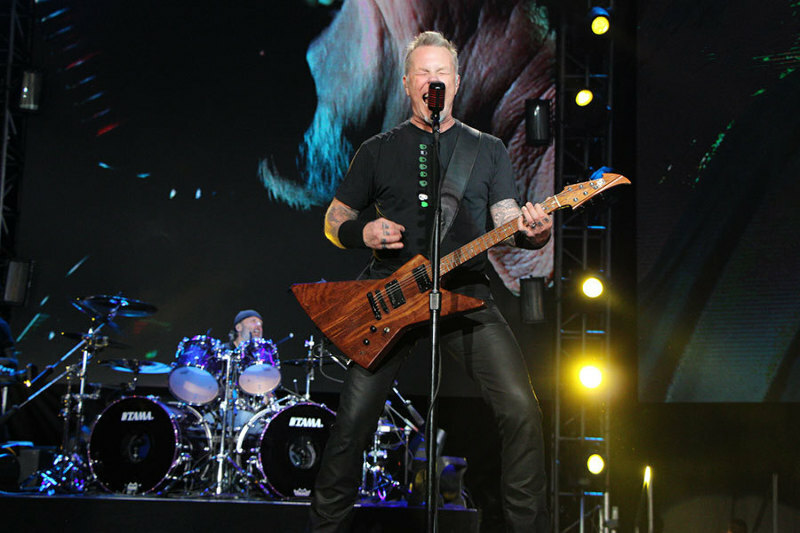 Following their Grammys performance, Metallica will play an exclusive concert for Citi card members at the Hollywood Palladium on the same night as part of the company’s “Sound Vault” series.